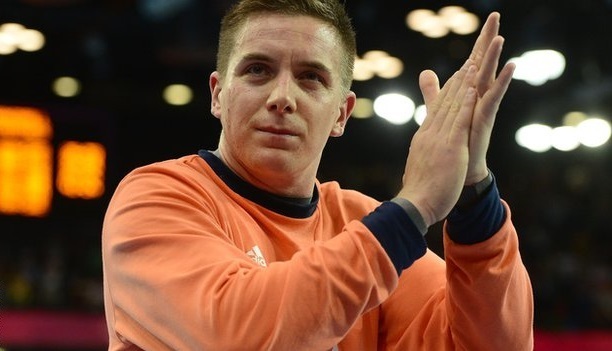 June 24 - Newly-established multi-discipline sports club Olympic Catuvellauni have announced that they are to form a new handball club in Milton Keynes, which will be headed by Great Britain captain Bobby White, who led the national team to their first ever Olympics appearance at London 2012. Goalkeeper White has played in Denmark, Greece, France and Austria, but will return to his home town as player-coach of the MK Oly Cats Handball Club, who have applied to the English Handball Association (EHA) to join the Midlands Regional Development League, one division below the Super 8s, the premier handball league in the country. Handball is one of several sports to see a major boost in interest following London 2012, with a rise of 40 per cent in school participation occurring since the Games last summer. And accordingly, the team will coordinate a youth development programme as well as a senior team, and provide coaching in Buckinghamshire to children from the age of eight and upwards, with sessions expected to reach neighbouring Northamptonshire and Bedfordshire as the club becomes more established. The elite team will feature a mix of seasoned pros, including some of Britain's London 2012 representatives, and a number of up-and-coming players from the England Regional Academy, and, as EHA certified coaches, they will be responsible for the running of the youth development programme and training programme. "I am really excited about this project, this is what legacy is all about." said White. "Taking the knowledge and expertise I have developed over my professional career and passing it down to the younger generations in a sustainable, systematic approach. "Of course, I still have unfinished business on the court myself. "It will be a challenge but it is an opportunity that really excites me; I am confident our abilities match our ambition and we will be at the forefront of handball development in the UK." Olympic Catuvellauni chairman Chris Rivett added: "I am delighted to reach the stage of being able to launch our first sports team so soon after forming the club. "It was important we started with a sport where we felt we could make an immediate difference and, in speaking with Bobby and the players we hope to sign, I know we will have some very ambitious and focused players coming into the club, who are determined to ensure that the legacy of handball at the Games lives on for generations. "If we can channel that hunger and desire successfully then the Oly Cats, and handball in the region, will have a very exciting future." The Oly Cats are already on Twitter @olycats and will launch their website this summer.